An art exhibition with more than 100 artworks by primary school students from Nantong's Tongzhou district has opened in London to showcase the art and culture of Nantong, Jiangsu province. The exhibition, held jointly by Tongzhou Education Bureau and Phoenix Publishing and Media Group, will last 10 days at House of Phoenix in London from Monday, and has gathered together a variety of different art pieces from all primary schools in Tongzhou. 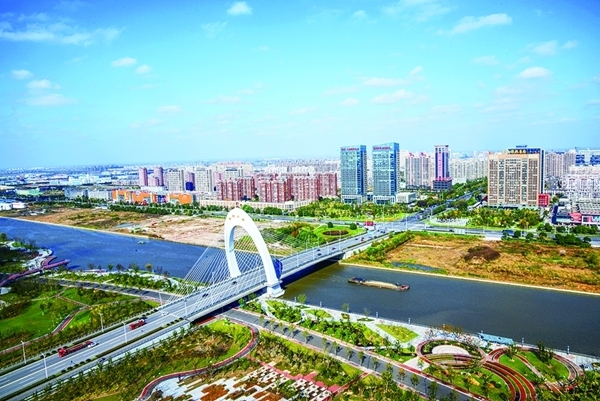 From traditional calligraphy to paper cutting, water and ink painting, blue printed homespun works, the exhibition shows a new and fascinating picture of Nantong's rich culture and the life of local children. "We have collected more than 1,000 pieces from the local primary schools, all done by our primary students," said Jiang Xiaofei, vice-chancellor of Shi Yan primary school in Nantong, "we brought about a hundred to London in the end, and each of them is full of Nantong style and Chinese style." 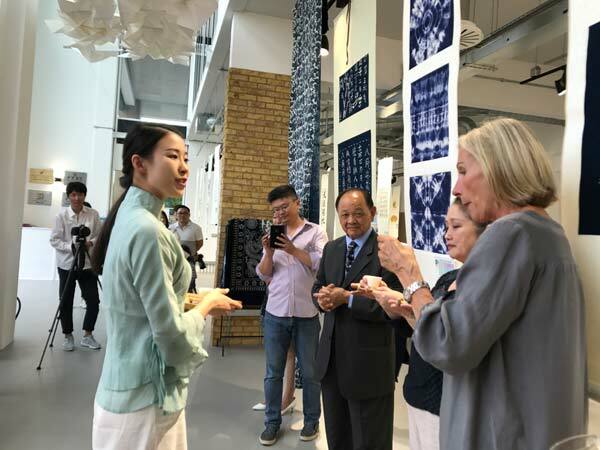 "All the works can convey our children's strong love toward life and their own understanding of art, and some of them are categorized as intangible cultural heritage like blue printed homespun, so I think it can not only show Nantong's development to the world, but also let our own children feel the beauty of art and make them more interested in Chinese traditional culture."